Buy Woeful To FroFull a Coffee. ko-fi.com/woefultofrofull - Ko-fi ❤️ Where creators get paid by fans, with a 'Buy Me a Coffee' button. 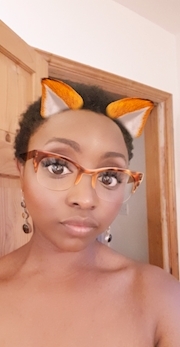 I'm documenting my natural hair journey from bald to tailbone length and also sorting out my skincare routine. Yes, really! I like trying products, I like writing random stuff down and I'll pretty much try anything...hair and skin related. Come join me on the journey! Secured Payments. Support goes to Woeful To FroFull's account. Upgrade Woeful To FroFull to a yearly Gold Membership with a one-time payment.